Comment: The cover and pages are in good condition, shows signs of normal wear. Fast Shipping from California. Supports Goodwill job training programs. Meet Max. Max Archer, Kid Detective. Max helps kids solve problems. Emily has stomachaches. A lot of them! With Max's help, Emily investigates the big three causes of stomachaches: lactose intolerance, constipation, and stress. With a mix of facts and humor, Max puts Emily on the right track towards feeling better. Max Archer, Kid Detective is written by a pediatrician with years of experience helping kids with problems (just like Max!). A Q & A for parents is included with the story. Howard J. Bennett, MD, practices pediatrics in Washington, DC and lives in Maryland with his wife, two children, and three dogs. 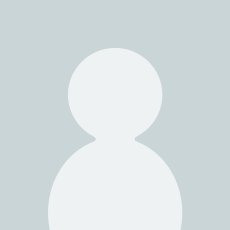 In addition to his books, Dr. Bennett writes articles for the KidsPost section of the Washington Post and has a column in Jack and Jill magazine called Science for Smart Kids. Spike Gerrell lives in North London with his partner Kaz, their son Ethan, daughter Stevie Jasmine, Freddie the cat and a big load of stick insects. He likes cycling, running, making stuff and, of course, drawing. Most of all though, he likes spending time with his kids. My son suffers from frequent stomachaches. In his case, it's due to constipation. This book focuses on the three most common causes of abdominal pain in kids: constipation, lactose intolerance and stress. The girl in the story gets pain from stress, which is probably under recognized by parents. The author provides lots of useful tips for dealing with stress, but most importantly makes the connection between stomachaches and stress, which will help families deal more effectively with the problem. 5.0 out of 5 starsHelped us a lot! I got this book for my 8-yr. old step-grandson who has been struggling with a stressful situation. This book really helped open up a positive dialog for him to feel comfortable sharing his feelings. 5.0 out of 5 starsAwesome Way to Handle a Common Childhood Problem! What an awesome concept for tackling a common childhood problem! Max Archer, Kid Detective is on the case! This funny, candid approach to intestinal trouble packs in an amazing amount of information. 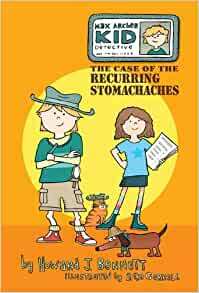 When Max discovers Emily Banks has stress related stomachaches, he offers some great self-help ideas to resolve the problem. Not only does the story itself supply a plethora of facts but supplemental material at the back of the book manages to be funny, gross, and informative all at the same time! Bennett conveys his formidable medical knowledge with real kid appeal. This would be a great addition to any school or public library! 5.0 out of 5 starsA helpful resource for families! As a volunteer with a non-profit organization that provides resources to families of children with mood disorders, I find myself frequently recommending this book. Our families can relate to Emily's stress-induced stomachaches and put to work Max's helpful coping strategies to manage their own anxiety-provoking situations.